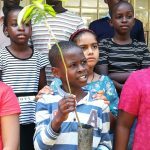 On Friday 23rd November, Pearl of Africa International school were visited by ‘Little green hands go green’. 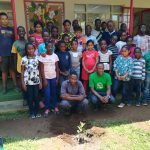 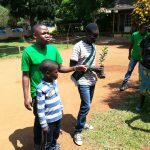 They were aiming to visit all schools to plant fruit trees to help our environment. 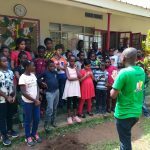 Years 4 and 6 along with P.4 and 6 were invited to take part in the tree planting event. 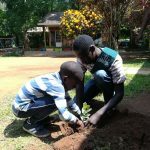 Joseph (Y4) was able to identify both trees that were shown as guava and mango. 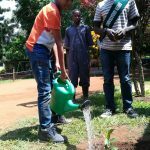 He was given the role of our assistant Green Ambassador. 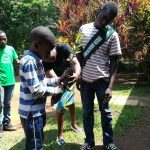 Bobo (P.6) was awarded the role of Green Ambassador and will represent our school in future events. 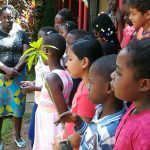 The children enjoyed the event and are excited about the upcoming ‘Green festival’.